A psychology degree course helps students hone skills such as communication and leadership, which are useful for jobs in the fields of research, human resource and recruitment consultancy, just to name a few. 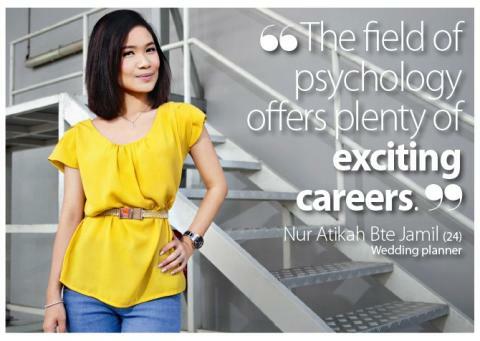 If you are considering a career path in any of these fields and you think you’ll make a good fit, find out about the psychology programmes at MDIS. 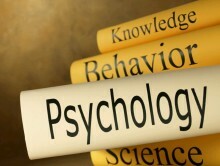 Students who are new to the field of psychology can start with the entry-level Professional Certificate in Psychology, which is awarded by MDIS. The MDIS School of Psychology offers a progression pathway from certificate to the Bachelor of Science (in Behavioural Studies with concentration in Psychology) degree with Oklahoma City University (OCU), USA. OCU’s programme emphasises the scientist/practitioner model set forth by the American Psychological Association, providing a firm foundation in research and critical thinking. OCU is accredited by the Higher Learning Commission of the North Central Association of Colleges and Schools. OCU ranked 24th in the Regional University West Ranking (US News and World Report’s Best Colleges Rankings 2014) and 39th in Best Values in Private Colleges 2013 (Kiplinger, a Washington,D.C. leading financial advisement firm). Fulltime and part-time students of the degree programme at MDIS are fully taught by senior faculty members from OCU and undergo a three-week on-campus residency. Thanks to a supportive environment and knowledgeable and approachable lecturers, Nur Atikah describes her experience at MDIS as “amazing and fun”. Her time at MDIS has been a learning curve. “It allows me to motivate myself and manage my stress better. It also helps me with decision making and motivate others more effectively,” she says. Source: 8 Days © Mediacorp Pte Ltd. Reproduced with permission. Low Kim Heng, 26, applies what he had learnt from psychology class to train high school debaters, improve on his Toastmaster interactions and also help support his dearest mother, who has dementia.